Is Cannabis Considered A Legal Pain Medication In Hospitals? For patients suffering from dozens of different medical conditions, studies have found that cannabis is often just what the doctor ordered. For patients suffering from dozens of different medical conditions, studies have found that cannabis is often just what the doctor ordered. Well, that’s not entirely true. Yes, cannabis has been shown to be effective in treating a variety of medical conditions. Yet the nation’s doctors — even in states such as Washington and Colorado in which cannabis is recreationally legal — are prohibited from prescribing cannabis as a medical treatment. The reason that doctors cannot prescribe cannabis is pretty straightforward. The federal government doesn’t allow it. 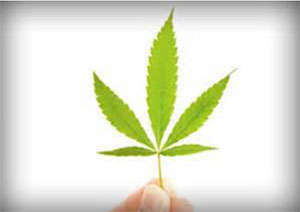 The Drug Enforcement Agency (DEA) currently classifies cannabis as a Schedule 1 federally-controlled substance. That puts cannabis on equal footing as such substances as heroin, lysergic acid diethylamide (LSD), and peyote, which are deemed to have no currently accepted medical value and a high potential for abuse. Thus, medical practitioners are not allowed to prescribe the substance, lest they lose their licenses to practice medicine. Are there ways around it? For doctors in states that have a more liberal attitude towards cannabis — again, think Colorado — doctors are allowed to ‘recommend’ the substance for patients. Particularly those suffering from medical conditions widely known to be treatable with the substance, such as AIDS, PTSD, and epilepsy. However, this is not a fool-proof plan for patients. Many doctors remain unconvinced of cannabis’ medical benefits, or are wary of the lack of research surrounding its medical properties. There are also other factors. Teri Robnett, the founder and executive director of the Cannabis Patients Alliance, told HERB in an interview that many physicians are wary of cannabis because it is not something in which they have received adequate training. I think there’s 22,000 medical licenses, but we only have about 850 doctors who have written recommendations for medical marijuana… A lot of doctors, I think they primarily just don’t have the knowledge to feel comfortable or confident recommending cannabis, because it’s not something they learned in medical school. Despite the nationwide ban on prescribing medical cannabis to patients, there is hope on the horizon. For starters, many medical institutions are opting to educate up-and-coming doctors and pharmacists on the benefits of medical cannabis. For example, one organization, Cannabis Clinicians of Colorado, holds regular meetings for doctors looking to learn more about the substance’s medical benefits and disseminates information to physicians on how to go about prescribing the substance. The informing of physicians on cannabis’ benefits is key, according to Robnett. A thing you hear a lot from doctors is that they struggle with knowing where to start their patients, knowing how to dose them, knowing what products to recommend, because they just don’t have that kind of knowledge base unless that is the focus of their practice. Ultimately, however, it is federal rescheduling that would really make the difference in the lives of patients, and there is hope for that too. Do you think doctors should be able to prescribe medical cannabis to patients? Why or why not? Tell us why on social media or in the comments below.